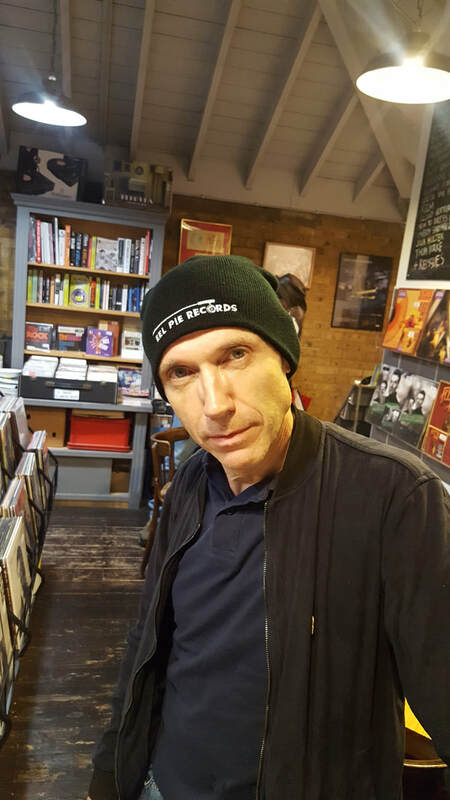 Twickenham record shop, Eel Pie Records, is embarking on a new venture with Eel Pie Records: the label. The first Eel Pie Records release, Buffalo Blood, comes out on Friday 15 February. The release will be celebrated with a launch event in store at Eel Pie Records on Saturday 16 February. Eel Pie Records co-owners Phil Penman and Kevin Jones first began working together to promote live events in Twickenham for artists on Penman’s former label Drumfire Records. 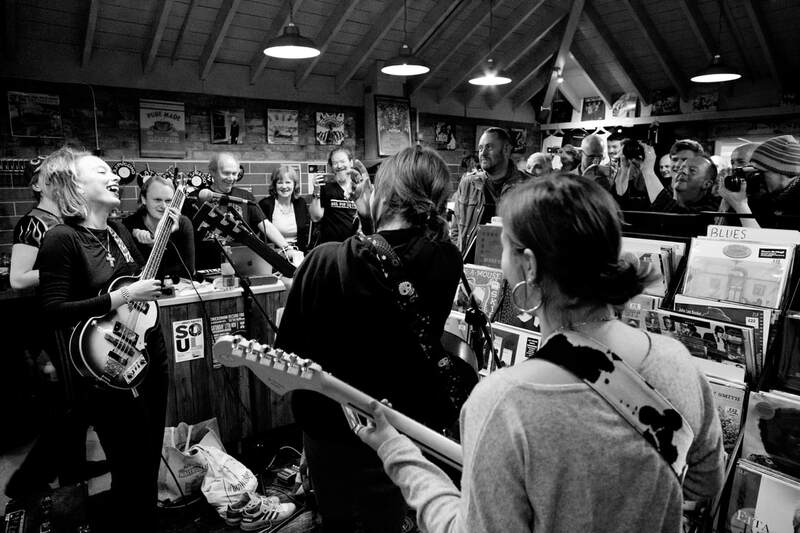 Putting on live music together was a key stage on their road to opening a record shop. Both being Twickenham residents, they are dedicated to keeping the town’s historic spirit as a hive of music alive. From the beating heart of London’s 60s rock scene to the home of the Bella Union label in the noughties, Twickenham holds an important place in music history. With its home-grown record shop becoming a label, Twickenham retains this place on the worldwide musical map. 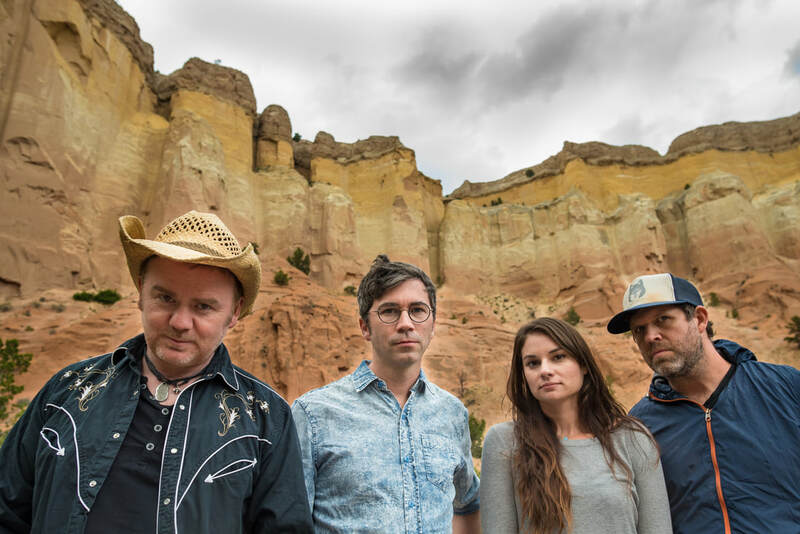 Buffalo Blood is the collaboration of former Drumfire artist Dean Owens – “Scotland’s most engaging and haunting singer-songwriter” (Irvine Welsh) – and US musicians Neilson Hubbard, Joshua Britt and Audrey Spillman – “an Americana supergroup for 2019” (BBC’s Paul Sexton). Owens performed several times in Twickenham at venues such as the Cabbage Patch while on Drumfire and was eager to work with Penman again with this latest project. At the UK Americana Awards 2019, Owens picked up Song of the Year for the title track of his solo album, Southern Wind. Neilson Hubbard, who produced Southern Wind, also produced for two other award winners – Ben Glover (UK Album of the Year) and Mary Gauthier (International Artist of the Year). 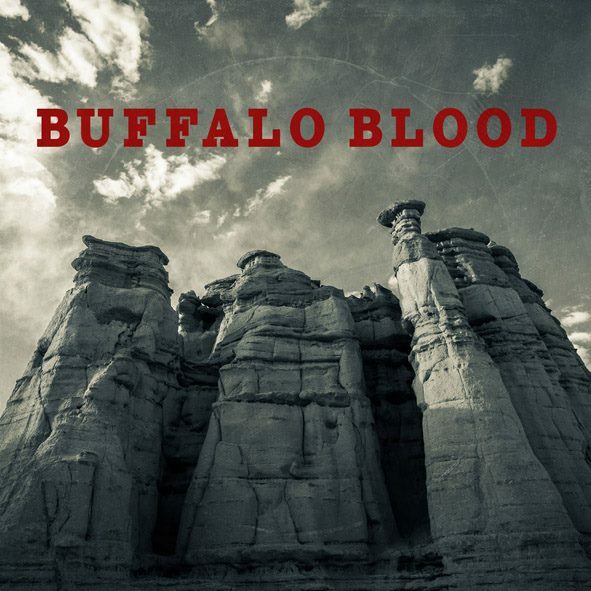 Buffalo Blood, (release 15 February), has been described as “an album that will entrance you, engage you and enrage you… a classic, carrying a very potent message through the medium of haunting melodies and flawless performances”. Recording took place in the heart of the New Mexico desert and is a response to those surroundings and their history, to the violent displacement of Native Americans, and a testament to the power of optimism, determination and, fundamentally, the power of the human spirit. £1 from every sale will be donated to Redhawk Native American Arts Council. At a time when it seems division reigns, these messages are more important than ever. On Saturday 16 February, Eel Pie Records is hosting a free event in the shop on Church Street to celebrate Buffalo Blood’s release. Attendees will get to see an exclusive video presentation, including interviews with Buffalo Blood band members and live footage of their recordings made in the heart of the New Mexico desert. The evening will continue with a full playback of the album on vinyl on a top quality sound system. 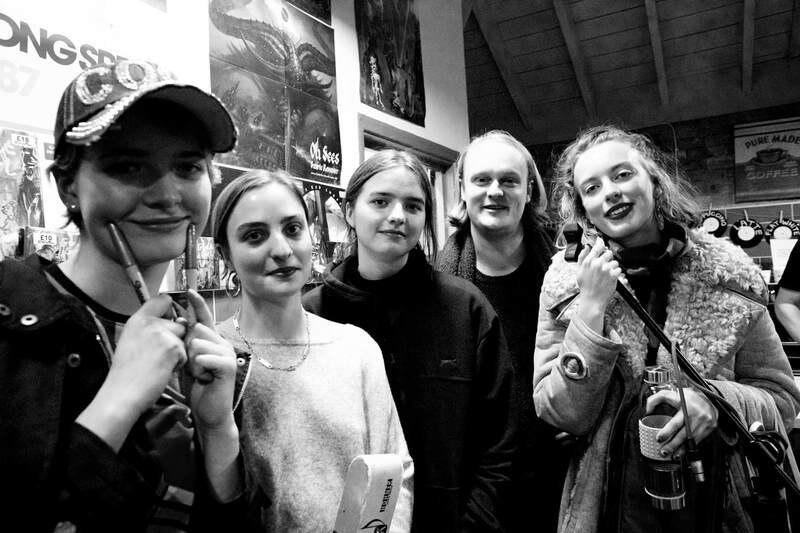 It was a privilege to host the amazing Goat Girl for our biggest in-store to date. The band treated a totally packed house to Uddersounds, new renditions of tracks from their eponymous debut album. Uddersounds has been released on CD to commemorate the debut album having been selected as one of Rough Trade's albums of the year. It is also one of the year's biggest sellers at Eel Pie Records. On a curious bend of the River Thames sits Eel Pie Island. In a similar nook down Church Street, sits Eel Pie Records. 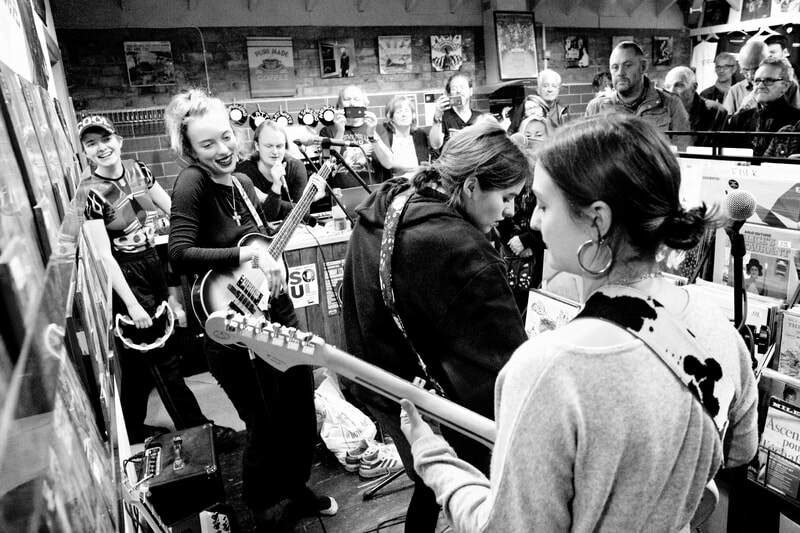 Curators of new and second-hand vinyl, the shop hosts a melting pot of gigs, in-store Q&As and music nights at the Eel Pie Pub. Tonight’s event is certainly special. An intimate evening of questions, answers and music, are in order to celebrate the anniversary of a prolific label. Think heavy basslines, buoyant rhythms and shaved heads. 2018 marks 50 years of Trojan Records; the label to subvert racial boundaries and stamp Jamaican music onto UK soil. Few can recall the history of Trojan like Laurence Cane-Honeysett. Musician, illustrator and journalist, Laurence has worked as the label’s Jamaican Music Consultant since the 90s. A selection of rare and classic Trojan vinyl, as well as the ‘The Story of Trojan Records’ book, are available to buy after the Q&A. Led by the store’s owners Kevin Jones and Phil Penman: ‘where did the name Trojan come from?’ is all it takes to kick-start the night. The genesis of Trojan begins in 1950’s Jamaica with ‘sound system’. A form of mobile discotheque, sound system was a cultural groove that replaced live musicians in nearly every way. The use of roadside-record players with small extension speakers evolved into larger-than-life equipment, blasting out bass frequencies of over 30,000 watts onto the streets of Jamaica. Duke Reid, hailing from Black Rock in Portland, began spinning discs to attract customers to his wife’s grocery store. After a number of explosive sets, well-received by the streets of Kingston, Reid made a promising decision to invest in more powerful equipment. ​The new ‘Trojan’ system (named after his British-made Trojan van used to transport equipment between venues) led him to be crowned the ‘King of Sounds & Blues’ at the iconic Success Club, Central Kingston. By the late 50s, there was growing competition within sound system and a wane in popularity of the raw, US-produced R&B favoured by Jamaican people. This left audio-entrepreneurs such as Reid with scarce vinyl for sets and little alternative but to produce their own music. The early productions of this time felt close in style and tempo to their State-side counterparts. Emphatic backbeats, stressed by piano or guitar, soon led to a progression of sound that evolved spectacularly into what we know today as ska. The evening at Eel Pie Records soars by. Questions from the audience are broken up by chatter, drinks and crate-digging, sound-tracked by trusted Trojan hits from The Maytals, Desmond Dekker and more. Noel Hawks, who features in ‘The Story of Trojan Records’ book, recalls jumping on the 277 bus to Beckenham’s Three Tuns in order to jump up and down to the sounds of Trojan. Back in-store, Laurence reflects on the sense of empowerment that Trojan brought to Jamaican culture in the UK. 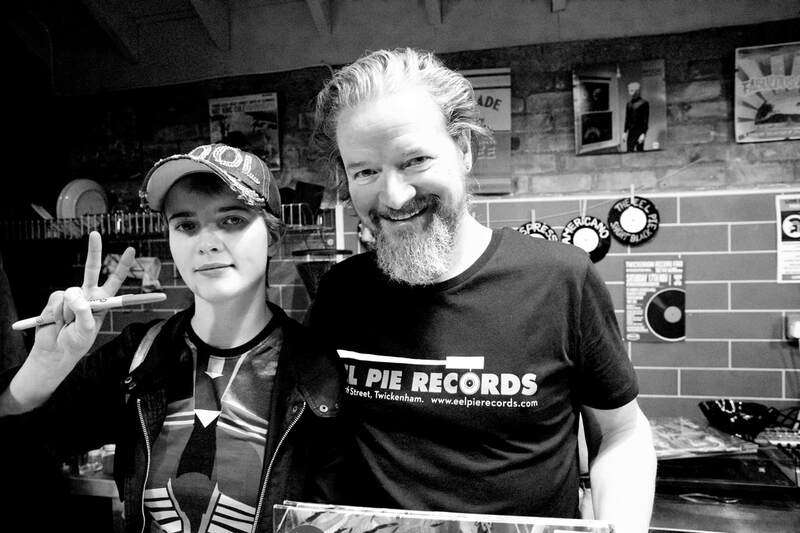 Eel Pie Records holds monthly events of a high calibre that will propel you into 2019. 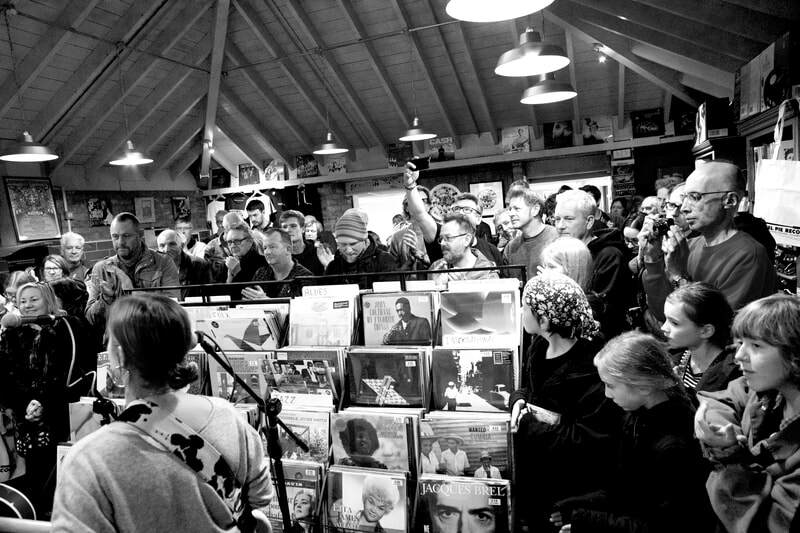 Keep your ears open for monthly vinyl fairs, high quality live performances, guest speakers, the famous Eel Pie Records music quiz and more. Or just pop in for a chat and a damn fine coffee. Eel Pie Records has quickly established itself as the mecca for music enthusiasts in South West London. Since opening in 2017, owners Kevin Jones and Phil Penman have promoted gigs at local venues like The Exchange and Patchworks, keeping community values at the heart of the Eel Pie ethos. 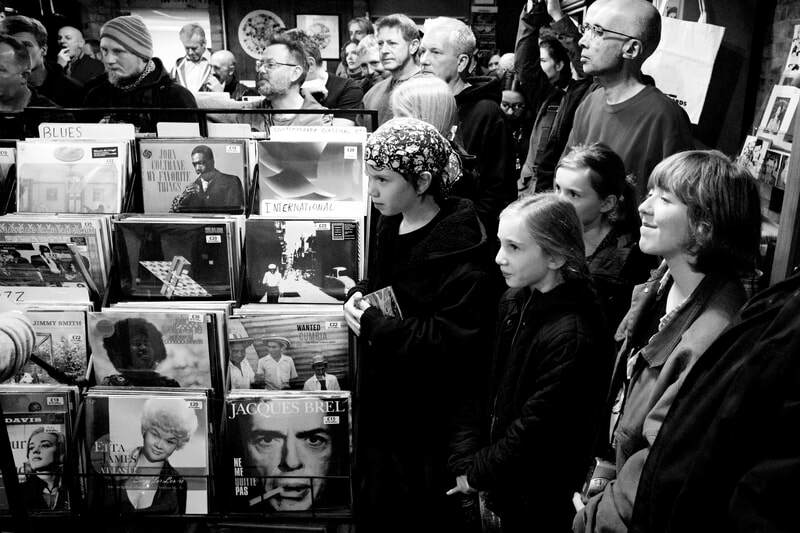 Stocking a vibrant selection of new and high quality second-hand vinyl, the shop hosts a melting pot of new music nights and talks including British DJ and film director Don Letts and ‘The Modern World’ fanzine founder, Gary Crowley. A peach-soaked sun begins to fade over grimy slates of suburbia. A friday-night hum builds inside The Exchange, in growing anticipation of Ana Silvera. This gig is one of six to promote her sophomore release, Oracles. Signed by Gearbox Records earlier in 2018, the BASCA nominated album has attracted wide-sweeping praise for both composition and lyrical complexity. It’s clear from the outset that Oracles is a personal project. The album follows a folkloric structure of a ‘quest’ and involves the search for symbolic meaning before a triumphant return home. For Silvera, the song-cycle is a chronicle of loss and coming to terms with the sudden passing of her brother, Daniel. Eclectic in sound, Oracles combines elements of folk storytelling with classical piano and touches of jazz, alongside vocals equal in tone and resonance to Kate Bush. “I packed my passport to travel to this side of the river” jests the Camden native, after her first song Red Balloon. 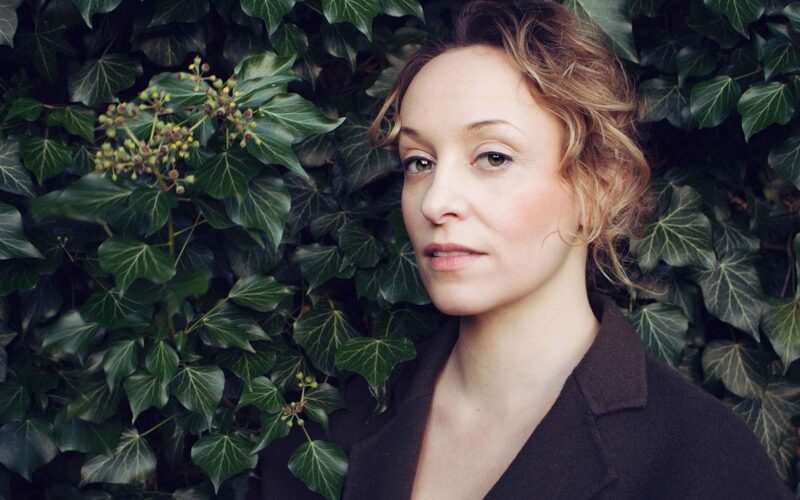 Silvera is joined on tour by multi-instrumentalist Josephine Stephenson (Radiohead and Nils Frahm). Throughout, the pair collaborate with ease across keys and string, alternating melodically to create a sound fused by narrative and emotion. Equally, Stephenson is flawless in harmony and blend to Silvera’s ethereal tones. The first set comprises songs from Oracles alongside other original works such as ‘Love Deeper’, a composition inspired by the words of Hungarian poet George Szirtes. An acapella version of ‘Circle of Chalk’ kicks off the second, explosively rhythmic and warmly received by the crowd. Written for a full-scale choir and band, Oracles has been adapted and re-worked for intimate performances such as these. ‘Catherine Wheels’ makes for the penultimate performance of the evening. This final song from Oracles tells the symbolic tale of a firework, graceful acceptance and musical catharsis. What’s next for Silvera? Catch her final performance at Cafe #9 in Sheffield on 8th November or head to Eel Pie Records to pick up a copy of Oracles on CD or LP now.